Home » Blog » News » El Bulli’s Planning a Comeback, and You Could Eat for Free! You read that right! 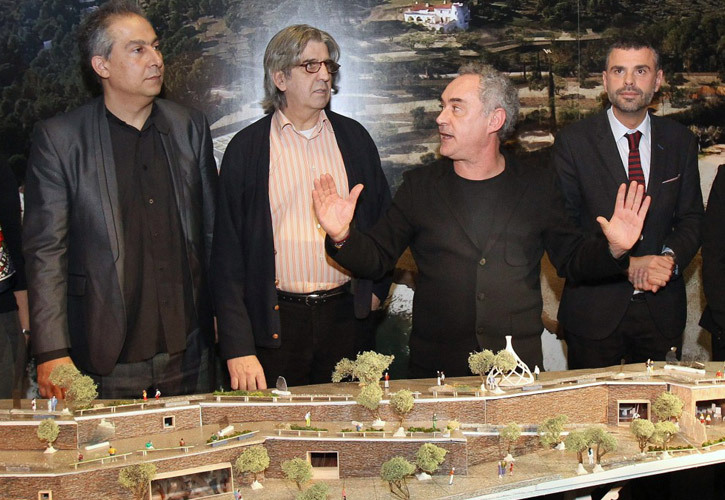 Molecular gastronomy Chef Ferran Adrià has plans to open the doors to El Bulli1846 in the spring of 2016. The new concept restaurant and research facility will be at the same location in Roses as his famed El Bulli, which closed its doors in 2011 after 4 decades. The new name was chosen based on the number of recipes (1846) that were created throughout the years in the original restaurant by Adrià and his team. While it’s true that 50% of diners will be awarded free dinners through an online lottery, reservations will be at a premium. You see, El Bulli1846 is only going to be open as a fully-functioning restaurant for about 20 days out of the year. For the rest of the year, the restaurant’s 30 gastronomy experts will help run the center as a cutting-edge culinary research facility. The original El Bulli’s location on the Costa Brava in Roses near Barcelona is going to be completely revamped to the tune of 9 million euros, funded entirely by the El Bulli Foundation. Half of the 14,380 sf center will be underground so as to preserve the atmosphere of the surrounding Cap de Creus National Park. Assuming that the Catalan parliament approves the project’s status as a “project of public interest”, work will start in the fall and El Bulli1846 will open its doors in March of 2016.